Read our guide on how to select the perfect projector for your needs. Same great screens at a fraction of the price. Read our guide on how to select the perfect screen for your needs. 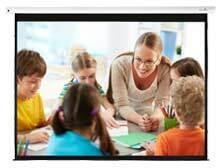 Read our guide on wireless presentation systems. 6000 lumens Laser projector with extensive connectivity and WUXGA resolution. We supply over 7000 lamps, find yours quickly with our tool. Grab a bargain whilst you can. Have a read of our dedicated advice guides, drop us an email or give us a call where one of our experts will be happy to help. Not sure which projector to buy? 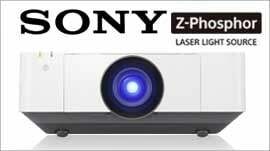 Finding the right projector for your environment depends on a number of factors. With over 500 projectors to choose from on the site, to try and simplify the selection process, the team here at ProjectorPoint have hand picked projectors from the various categories available. The selections have been made using a balance of specification, features and also value for money. The vast majority of the featured projectors the team have personally seen in action so they know what they are talking about.